What kind of airplane are you? If you were an airplane what type of airplane would you be? Take this quick quiz to find out. The quiz stated I would be a Cessna 172 which is pretty fitting since I have spent most my recent flight time in that exact plane. According to the quiz: I am "...a CESSNA 172, a person that knows that things don't have to be extravagant to be nice. You love adventure, but are limited on your ways of achieving it. You live a little bit more on the safe side in life, but you know how to stretch your wings." Thanks to Charlie Tango's blog for pointing out the quiz. Charlie Tango's match was to a Dehavilland Beaver the workhorse of the Alaskan bush pilots. How much does learning to fly cost? One of the questions I get most from prospective pilots is "What is the cost of learning to fly and earning a private pilots license?" That is a tough question to answer because there are so many variables that determine the final cost: frequency of lessons, amount of studying between lessons, aptitude, plane rental, and cost of instructor. Estimates for costs of learning to fly range from $4,500 to $10,000. BeAPilot.com estimates the cost to be between $4,500 to $6,000 and Private Pilot Magazine quotes the national average as between $5,000 and $8,000. A podcast that I have been enjoying recently is Jason Miller's The Finer Points - An Aviation Podcast. Jason is a Certified Flight Instructor and in his most recent episode "Dollars and Cents" he shares his insights for the cost of earning a pilots license. He suggests budgeting between $7,000 and $10,000. He points out that a pilot can take his or her flight test with just 40 hours of flight time and 20 hours of instruction but that in his 10 years of flying he has only met one pilot that earned their license while their total flight time was still in the 40s. One suggestion he makes is that to save money, a student should schedule at least two flights a week and study for three hours between flights. I completely agree with Jason's advice. I was able to earn my license after 47.2 hours of flight time and spending $4,536.74. Both of those numbers are below the averages quoted by the several sources above. I believe the main reasons I was able to earn the license so efficiently is because I made a point of flying 2-3 times per week and dedicating several hours between each flight studying and preparing for the next flight. Though, one should not pass on learning to fly if they cannot dedicate the time or money to fly 2-3 per week but should realize it may end up taking more flight hours and instructor time because they may forget some of what they learned between lessons. Therefore their overall costs may be higher in the end if training is more spread out. If you can stick to a plan that involves frequent flights and studying I think a license can be earned for less than $7,500. I am a big fan of maps. So over the past few weeks I have enjoyed spending a few nights playing with some new mapping technologies - Google Earth and MSN Virtual Earth. I also enjoy testing out new technology so tonight I decided to test out the Google Map API. API stands for "application programming interface". An API allows one program such as my site to use facilities provided by another such as Google Maps. So, I developed a map of all the airports I have flown to since I began learning to fly. The map has all the normal Google map functionality that will let you drag and zoom in or out. Additionally, you can click on each airport to learn more about it. I plan to update it as I visit additional airports in the near future. When was the last time you flew to a new airport? In preparing for that flight you obviously reviewed your flight with the use of a sectional chart. You probably also reviewed information about your destination airport in your FAA Airport/Facility Directory. But, you still really don't know what to expect upon when you began to arrive at the new airport. Google has launched a beta product called Google Earth which can be downloaded for free and can be a nice aid to pilots. The program lets you fly around a 3D globe, with overhead satellite photos, tilted 45-degree photos, 3D rendered buildings, and overlays that display everything from roads to hotels to bike routes. 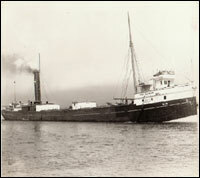 One caution is that most of the images are several years old so they may not be very accurate. But, since the images are old I was able to see a satellite view of Meigs field. 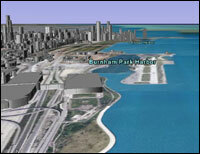 Google Earth added in the buildings so I could have visualized what it would be like to fly into Meigs field. Fellow aviator John Keating contacted me last week about his Flying Chicago Website. Flying Chicago is a new website devoted to helping aviators find creative destinations in and around Chicago. John visits each destination that he reviews personally, than posts about the experience. Since I am new to flying in the Chicago area I am sure this will be a helpful resource. Pilots in the Chicago area should bookmark his site. 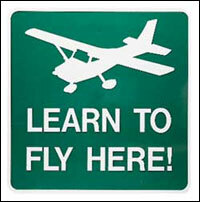 Anytime is a great time to start learning to fly. Magazines and newspapers tend to think the spring is best as they run more articles about learning to fly in the spring. The current issue of Private Pilot Magazine features a cover story about learning to fly. Today, the Chicago Tribune's Transportation section featured a nice article by Chuck Green titled "Taking a flier" that explained what it takes to earn a pilots license. The article features a few student pilots that are working towards becoming private pilots. Some students are flying once or twice per month while others are trying to get out two to three times per week. In my experience flying 2-3 hours per week keeps you from forgetting what you learned and helps you progress to earning your license more efficiently. By flying 2-3 times per week I was able to pass the flight exam in just 7.2 hours over the minimum required by the FAA. One should not pass on learning to fly if they cannot dedicate the time or money to fly 2-3 per week but should realize it may end up taking more flight hours and instructor time because they forget some of what they learned between lessons. Therefore there overall costs may be higher in the end if training is more spread out. Speaking of the costs it takes to become a Private Pilot, the article quoted the national average of $5,000 to $8,000. I think the average cost estimated by BeAPilot.com of $4,500 to $6,000 is more accurate if you can dedicate enough time and money to fly at least once a week. It cost me $4536.74 to earn my license. One of the pilots featured in the article, Jerry Hermes, is quoted saying "I don't think there ever is a right time to earn a license. Even now, I'm getting married in June and we're going to buy a home so obviously, economically, this is probably isn't the greatest time to do it. But, is there ever a right time to do something like this?" He is right, if you truly have your heart set on learning to fly get out there and take an introductory flight to see if it is right for you. BeAPilot.com offers a discounted rate for an introductory flight. Print of the certificate and get out there! I have scheduled my first flight time in Chicago. Based on some great feedback from a variety of my readers about great places to rent planes from and get continuing education I have chosen to fly with the Windy City Flyers out of Palwaukee Airport this Friday. I am going to spend some time with the instructor reviewing the airspace around Chicago as it is much busier than what I am used to. I also plan on reviewing my procedures for a controlled field as it has been a while since I have flown out of a field with an active control tower. I think tonight I might pull out some of my trusted Sporty's Private Pilot DVDs. 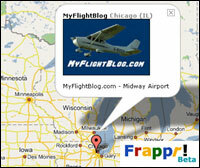 In addition to some suggestions to check out the Windy City Flyers I received some great tips on flying out of Midway. I am definitely going to have to evaluate some Midway operations as well before I chose a home base airport. There is plenty of time to choose my new home airport. For now I am just excited to get back up in the air.